Officials have confirmed that the video was taken on June 17, in the Visavadar tehsil of Junagadh district in Gujarat's Saurashtra region. Officials confirmed that the video was taken on June 17 in Gujarat's Saurashtra region. AHMEDABAD: A 50-second shocking video of a chase, occupants of a car trying to hit a lion cub desperately trying to outrun them, has landed four men behind bars. The men were arrested by the Gujarat Forest Department after officials saw the widely circulated video shot by one of the four on a cell phone camera and got down to tracking the visitors. 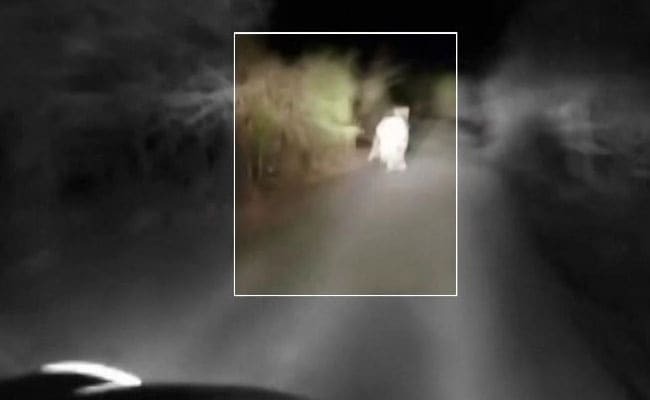 Officials have confirmed that the video was taken on June 17, somewhere in the Visavadar tehsil of Junagadh district in Gujarat's Saurashtra region. AP Singh, a top forest department official in the Junagarh Wildlife circle told news agency Press Trust of India that the four men were traced by forest officials to Bhavnagar district 100 km away and arrested for endangering the life of a lion cub. "We also seized their car. We will seek their remand from court to investigate their motive behind this act," Mr Singh said. In the cell phone footage that sparked outrage among wildlife enthusiasts, one of the occupants of the car is heard exhorting the driver to go faster. "Increase the speed... Hit it... Increase the speed. Shoot it. Shoot it. Won't get such a chance," he is heard saying in Gujarati. Forest officials indicated that they had accounted for the possibility that the occupants had a firearm too. "We learned that when they said 'shoot it,' they meant shooting video of the cub on their mobile phone, not shooting the cub with a gun," Mr Singh said, according to PTI. Two months ago, people driving through Amreli on the Pipavav-Rajula highway, were greeted by the sight of a pride of lions crossing the road. Many lions have died in road and train accidents in the area.